Kim Harrison and Charlaine Harris interview each other. Spooky Sean interviews Ellen Datlow. Apex Magazine interviews Zen Cho. Apex Magazine interviews Ekaterina Zagustina. Apex Magazine interviews Saad Hossain. Lightspeed Magazine interviews Maurice Broaddus. 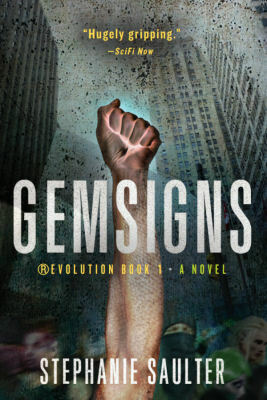 Lightspeed Magazine interviews Caroline M. Yoachim. Uncanny Magazine interviews Isabel Yap. The Functional Nerds interviews Quinn Martin. Angela Slatter interviews Robert Shearman. The Qwillery interviews Hester Young. Wag The Fox interviews Nick Cutter. Anthony Vicino interviews Ted Cross. Redditors interview Paul S. Kemp. Hank Garner interviews Matthew Mather. David Moody announces deal to bring his novel Hater to the screen. SFWA Releases a New Model Magazine Contract. The Complete Wheel of Time is $44.99 For This Weekend Only. Steven Erikson’s MIDNIGHT TIDES now open to the general public. A Dribble of Ink Closes. The Parsec Awards will be live streamed again this year . Rebel, Jedi, Princess, Queen: Star Wars and the Power of Costume, a Smithsonian Institution traveling exhibition. Tor/Forge Author Events in September. Sept. 8th: NYRSF Readings presents Rajan Khanna and Michael Swanwick at The Commons Cafe in NYC. Metal Etched Memories by Linda Adair. Bookishly Witty on Happy “Women in Translation” Month!. Bookworm Blues on Regeneration Stephanie Saulter. Bull Spec on The Exploding Spaceship Reviews The Sorcerer of the Wildeeps by Kai Ashante Wilson. C.C. Finlay on Editor’s Note for The Magazine of Fantasy & Science Fiction Sept/Oct 2015. Concatenation on A short history of the Science Fiction Club Deutschland (SFCD). Cristina Jurado on The Invention of Speculative Fiction in Spain. David Walton says The Best Villains Dress in Gray. Fran Wilde on Not-so-Invisible Ninjas. Fran Wilde’s Somewhat Questionable Answers To All Your Publishing Questions. Gail Z. Martin & Larry N. Martin on Alien Artifacts in the Gilded Age. George R.R. Martin on Next Year’s Hugos. io9 on 5 Horror Movies That Should Be Made Into TV Shows (And 3 That Shouldn’t). Kino Pravda offers A Guide to Early Science Fiction Films (1920-1929). Mary Robinette Kowal on My Favorite Bit: Fran Wilde talks about UPDRAFT. Michi Trota on Diversity Panels Are the Beginning, Not the End. Neil Clarke on The Sad Truth About Short Fiction Reviews. Scott A. Cupp on Sanford Allen » Forgotten Films: Seven Footprints to Satan (1929). Steven H. Silver on A Brief History of MidAmeriCon. Uproxx on 9 Stars Who Got Their Start Thanks To Rod Serling. Bat sketch 3, Raciel Avila. Free Fiction: “The Fifth Dragon” by Ian McDonald (set in the same universe as Luna: New Moon). Imperial Star Destroyer invades Los Santos in Grand Theft Auto V mod. This Minions body wash is giving us the creeps.